With many new pipeline projects stalled and existing ones running at capacity, oilpatch producers are turning increasingly to rail to transport their product — resulting in an 800 per cent increase in the volume of oil travelling on Canada's railways since 2012. According to data collected by the National Energy Board, the volume of crude-by-rail has increased substantially since April 2012. A new record of 204,000 barrels a day was set in August. Western Canadian Select, which includes product from the oilsands, trades at just $30.62 US — less than half of the $73.36 that West Texas Intermediate (WTI), the U.S. gold standard, fetches on the open market. The differential between Western Canada Select and West Texas Intermediate has also been hitting new highs recently. 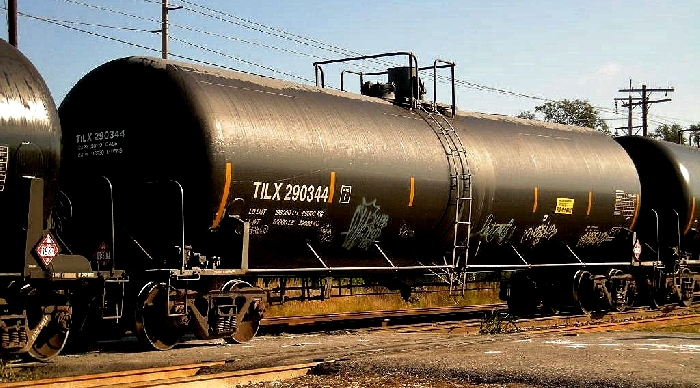 While the increase in crude-by-rail is good news for shareholders at the country's two largest railways, Canadian National and Canadian Pacific, there are concerns about just how safe transporting large volumes of oil by rail is for communities along the railway lines. U.S. Congressional researchers also found that pipelines are safer than transporting by rail in a study on the matter.